The Season of Mists and Mellow Fruitfulness' I'd love to see your projects that are inspired by this beautiful season. 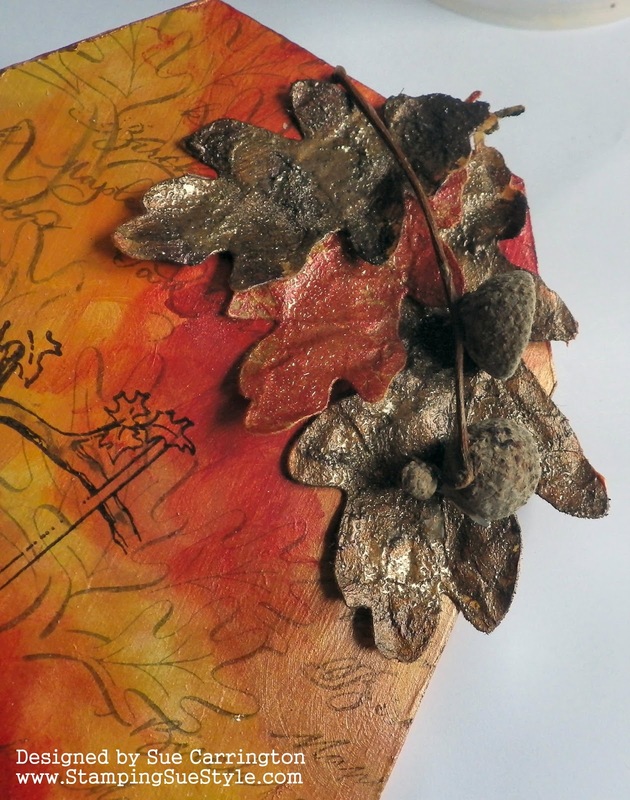 You may love the rich, warm colours or the shapes of fallen leaves and natural forms. Let us celebrate the wonders to be found around us. The only catch, is that I'd like you to use a tag or several tags, as your substrate. Your tag can be any size or shape and made of any material but it must be a tag. 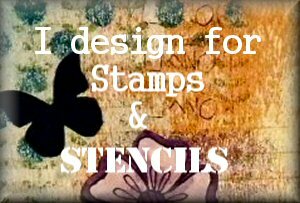 It must also feature some stamping, stenciling or preferably both. I'm looking forward to seeing your creations! I've had this MDF tag for a while now and never found a use so as it's tags only it was the obvious choice. I used Prima Art Alchemy paints for the background colours. The colours of these paints are really rich and as they are also metallic the sheen is fabulous. The leaves were all cut from Glassine paper using PaperArtsy dies, then screwed up before painting them with the Prima paints. 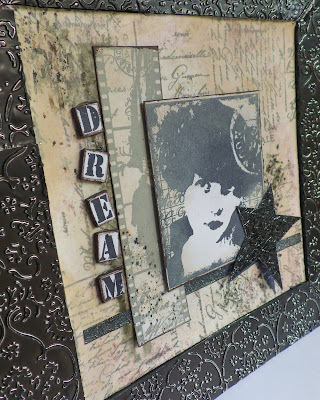 I then sprinkled some Lindy's embossing powder on them. The acorn and cup was collected from my walk with my little dog. 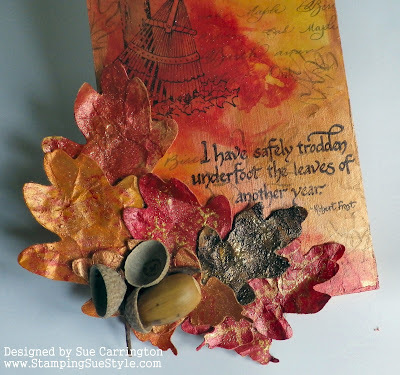 More die cut leaves, painted and more embossing powder sprinkled on. I've also done some background stamping using Watering Can Archival ink with Serendipity stamps. 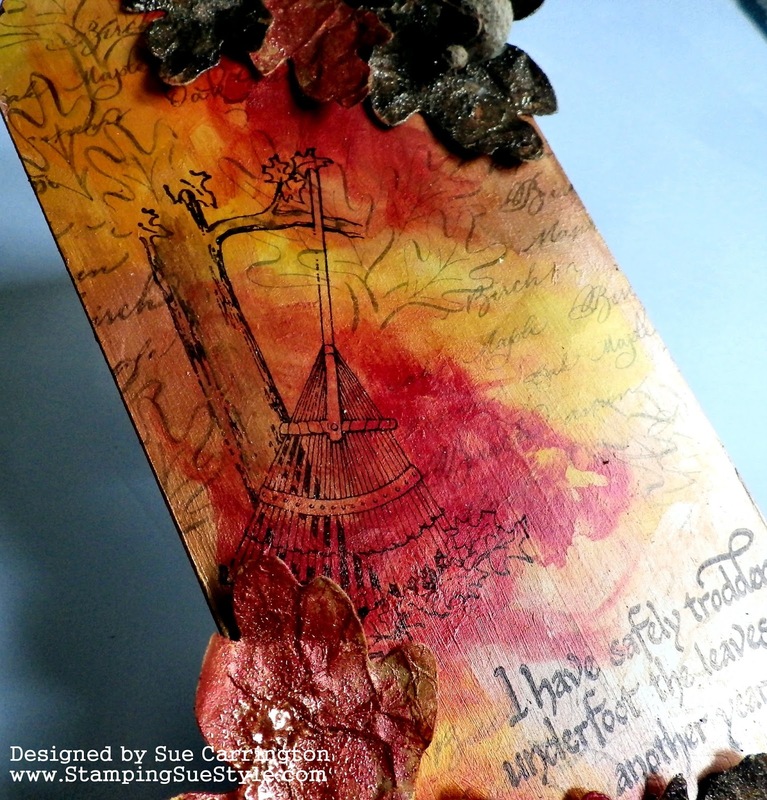 The rake stamp is also by Serendipity which I've had for years. 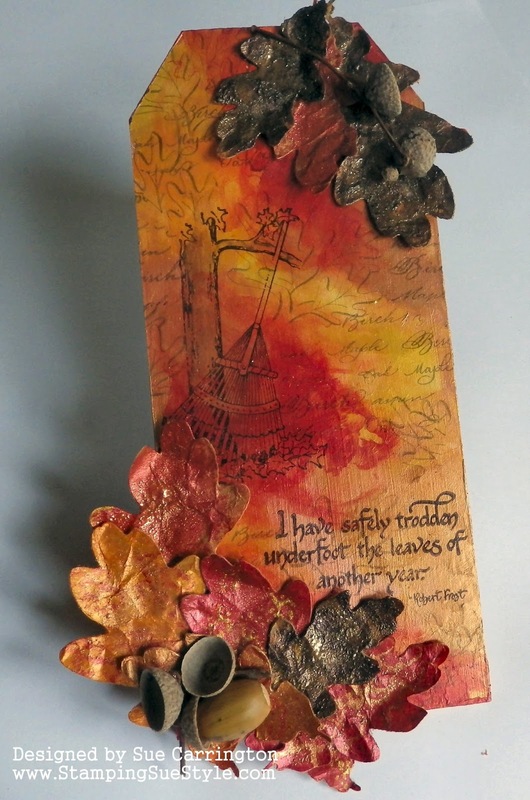 Raking the leaves just says Autumn to me. 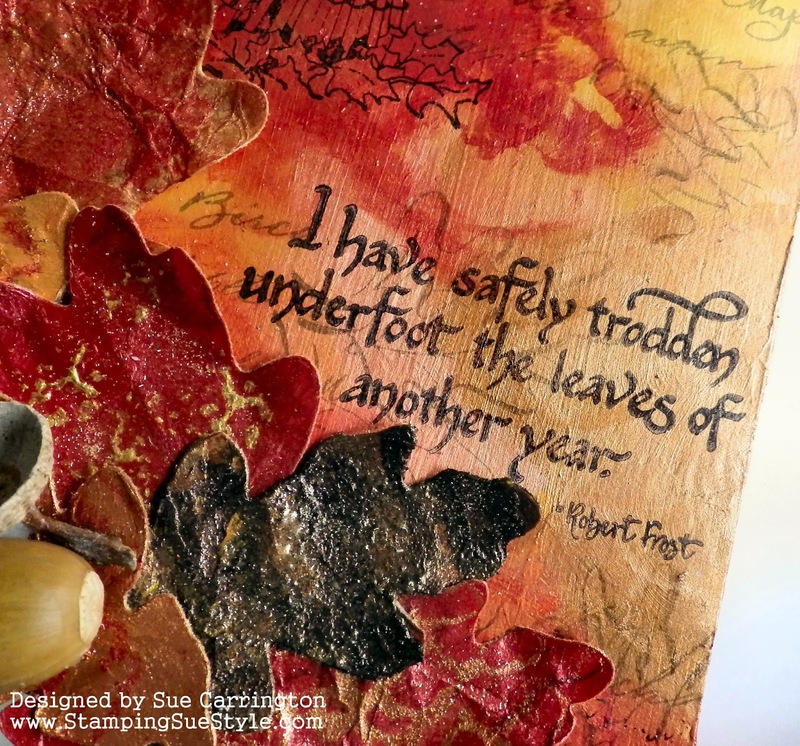 This sentiment is also by Serendipity and is one of my favourites. I love the font and the acknowledgement to another year passing. A reasonably simple project but it took a fair time to put together, I find working on a small area really chalenging ! 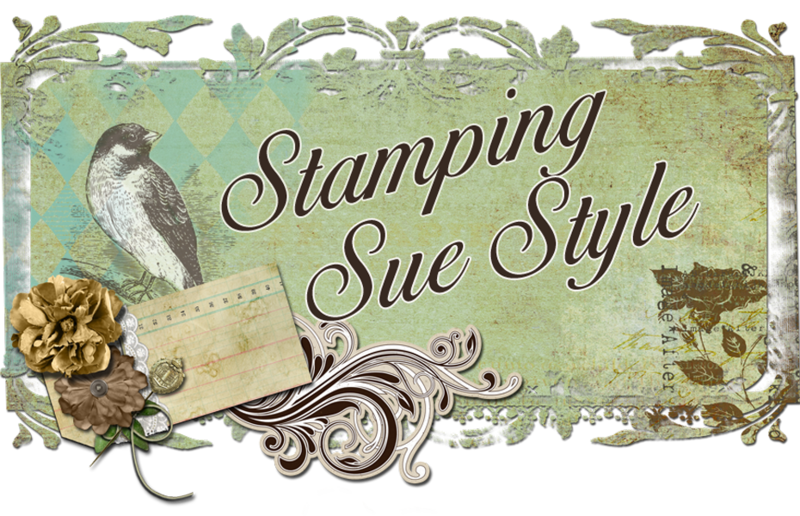 I hope you get chance to join us for this challenge and do hop over to Stamps and Stencils to see the rest of the DT's fabulous tag !